Which Rivalries Ruffle the Feathers of the Ducks? Historic Rivalries: Who Makes the Ducks Quack? In the past three seasons the Ducks have fallen in game seven to three different teams. Rivalries are built upon playoff failure or success. What’s interesting is that the Ducks have faced three teams for the first time in the playoffs in the last two seasons. 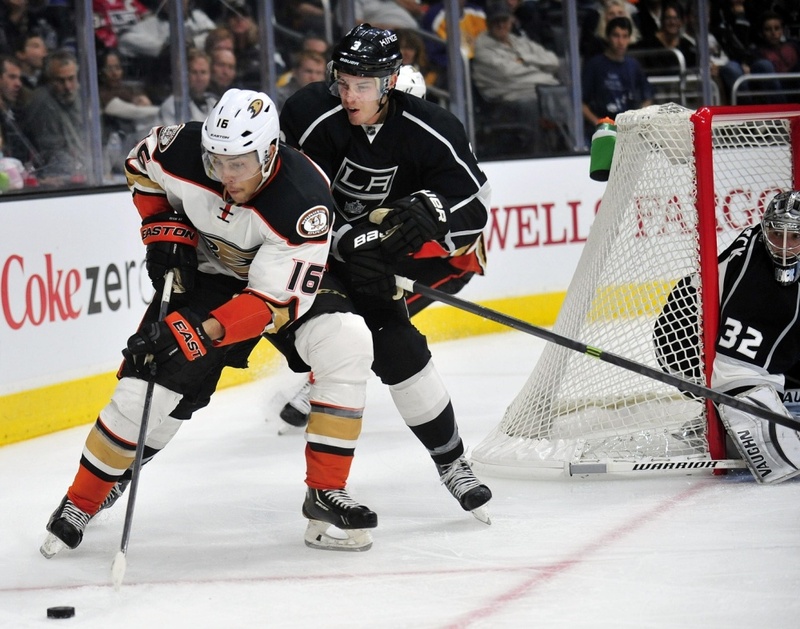 Los Angeles, Chicago, and Winnipeg were all opponents that had not faced the Ducks in ANY previous postseason series. Given that the Ducks are a 21-year-old franchise in the NHL, there still has been no clear-cut rival for the Ducks to wage war on the ice against since the movement of the Red Wings to the Eastern Conference. 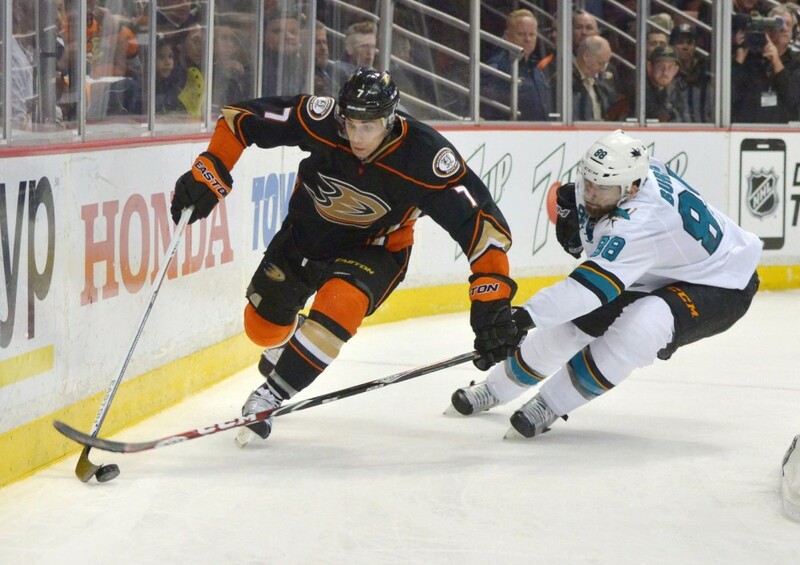 The Ducks also faced two teams that were not historically consistent foes but still faced Anaheim in the playoffs. Dallas had its third series against the Ducks in 2014 with Anaheim taking a 2-1 lead in the overall playoff record. Calgary had its second series against the Ducks with a five game series in which Anaheim took a 2-0 lead in the overall playoff record. But do either of these teams inspire the hate of a rivalry in the fans or the players? Who are the candidates for the true Anaheim rival? Northern California and Southern California already have a deep hatred of each other without any sports teams being necessary. Why wouldn’t there be a great rivalry between the Sharks and the Ducks? In 2009 the teams engaged in their only playoff series seeing the Ducks defeating the President’s Trophy winning Sharks. There is playoff history, animosity, and only 370 miles of separation between the two clubs. Just last October there was a big brawl in a regular season game when John Scott and Tim Jackman got going with the fists early and often. While the Ducks have played spoiler to the Sharks before, the fans of both teams will admit their greater hostility lies with the Los Angeles Kings. Appropriately named the “Freeway Faceoff” these two teams are separated by a mere 32 miles (possibly taking up to two hours to get to either stadium). There have been quite a few fights in the stands and in the parking lots in the last few years between hockey enthusiasts in Southern California. Why is this a real rivalry? I believe it’s not at its fullest level yet but has the potential to be the NHL’s next great rivalry. In 2014 the two teams met for the first time in the playoffs seeing the Kings take the series in seven games. The loss still wakes up Ducks fans in the middle of the night with cold sweat. The rivalry also has extremely positive qualities. The two teams work together to promote hockey in the Southern California community and both have established youth leagues and learn-to-play programs. I also don’t know many other teams that honor opposing players. It’s not all hatred on the ice between the players. 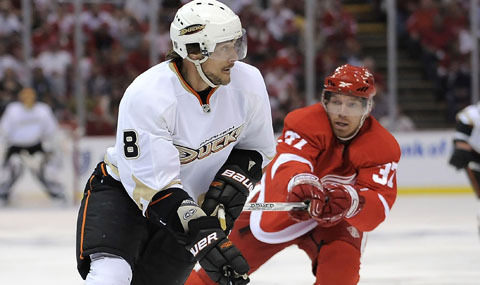 Drew Doughty enjoys a healthy off-the-ice relationship with Ryan Getzlaf and Corey Perry. The three play in each other’s charity golf tournaments in the offseason and have bonded since their time with Team Canada in Vancouver and Sochi. While some fans believe that this is the true rival for the Ducks, it’s going to take more playoff time against each other to build it into something historic. The Dallas Stars have had more playoff time with the Ducks than the Sharks and Kings combined. There is a definite hate factor after the 2014 playoffs. Stars fans have as much hate for Corey Perry as anyone else in the league. And the stunning game six loss at home saw the most recent end to a thrilling playoff rivalry where the Ducks came back down 4-2 to win in overtime. There isn’t a geography factor like the Kings or Sharks provide but there is some great history between the Stars and Ducks. In 2003, the Ducks and Stars saw each other in their first playoff match up. In game one, they went for the record books recording the fourth longest game in NHL history. A game which would see the Ducks end it in the fifth overtime. Since then, the Stars have beaten the Ducks once in the two playoff series following. Tyler Seguin and Jamie Benn join the new rivalry against Corey Perry and Ryan Getzlaf. Jamie Benn was also the linemate of Perry and Getzlaf in Sochi, which makes this rivalry that much more interesting for the fans. What a shame that the Red Wings moved to the Eastern Conference! Before their transition, they were the playoff enemy of the Ducks and truly the greatest rival Anaheim has ever had. The Ducks played their first ever regular season game against the Red Wings and played two of their first three post season series against Detroit. There have been three sweeps (two for Detroit and one for Anaheim) and the most recent playoff history between the two saw Detroit win in seven games each. The Red Wings are the top dog in f American hockey franchises having won 11 championships dating back to the 1935-1936 seasons. When the Ducks have beaten them in the postseason they have made the Stanley Cup Finals losing to New Jersey in 2003 and beating Ottawa in 2007. Detroit was also consistently expected to beat Anaheim in every one of their playoff meetings. When the Ducks did win, they made it count. Since the Red Wings moved to the Eastern Conference the Ducks have had five playoff series against five different teams. Maybe a new contender will make their case in the seasons to come. In a few years, one or more of their Western Conference foes will become a true rival for Anaheim. Until then, more history needs to be written for the 21-year-old franchise.